The DCT 531 digital pressure sensor has a Modbus RTU RS485 serial communications protocol interface for transmitting pressure readings over a digital sensor network. 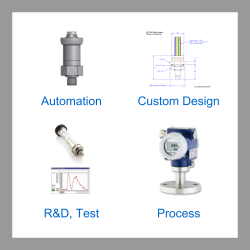 A variety of electrical & process connection combinations are possible, with a choice of fixed pressure ranges from 0-100 mbar up to 0-400 bar gauge/absolute. A RS 485 serial interface will allow you to daisy chain multiple sensors on one communication loop, which eliminates the need to send a separate signal wire from each sensor to data acquisition instrumentation. What are the register values for sending commands to the Modbus RTU communications? I’d like to check the compatibility of the Modbus connection and would appreciate if you could show the configuration documentation, in particular I’m interested in the facilities for changing network id, baud rate and parity? 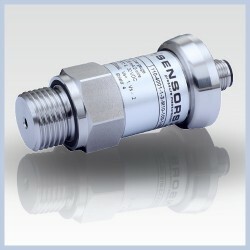 We are looking for a 2-wire pressure transducer in the 0-30psig range with a Modbus RS485 output. Our industry is irrigation water control. We need a sensor to measure up to 10 bar on air for a development project. We have a system capable of using a Modbus RTU serial interface for transmitting the data. A 12v supply is available and we would need a direct cable connection to the probe? The following spec would meet all your requirements. 10 bar absolute range Modbus RTU pressure sensor for installing with a 1/4 NPT male pressure fitting and a 2 metre length of cable. 16 bar gauge RS485 Modbus RTU digital interface pressure sensor. 40 bar gauge RS485 Modbus RTU digital interface pressure sensor. Send us your enquiry for DCT 531 Modbus RTU RS485 Pressure Sensor to get assistance with this product type.